Are you learning the design tools you need to get a job at the top firms in the world? Are you learning the design tools you need to work at the top firms in the world in 2017? We surveyed over 1,500 online job postings at the top 100 architecture firms (Gensler, Perkins+Will, HOK, HKS, SOM, and Perkins Eastman, just to name a few), based on Architectural Record’s 2015 list of the Top Architecture Firms, two-thirds of which have won design awards in the past 2 years from either AIA National or AIA Components, and compiled the software skill sets required for each. 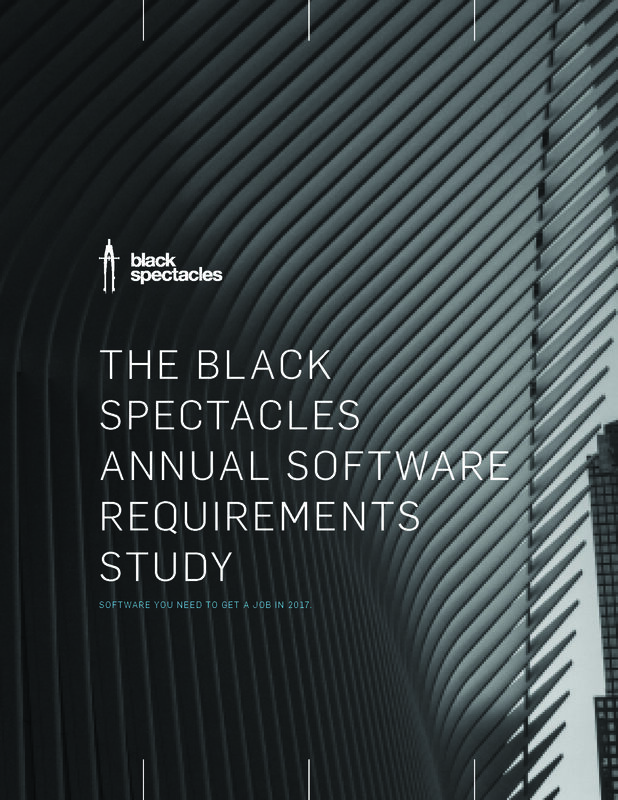 We then sorted them by average, and compared the results to the same study conducted in 2014 (as seen on ArchDaily) to see how software requirements within large firms are changing. The data in this study will help you focus on what skill sets you need in order to get you to the top of your game. And stay there. Use the form on the right to download the report and view the results. We continue to see a movement in the industry from AutoCAD to Revit as the most widely used architecture software amongst the top firms. There was an increase in number of firms requiring both Revit and AutoCAD this year, with Revit being the most required software by far. 78% of the jobs surveyed require Revit skills. Over 50% required AutoCAD skills. Download the full report to see what other software made the top 20.